Facebook is working with the the US Patent Office to trademark the logo you see on your right. Get used to the image. 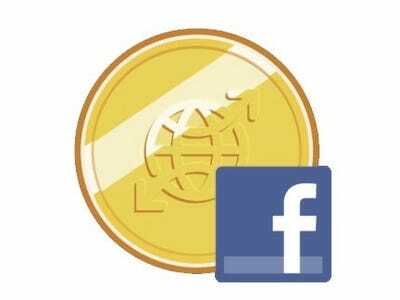 Facebook is rolling out a Facebook Credits platform, and it looks like this logo will be its dollar sign. Right now, Facebook Credits are good for paying for Facebook Gifts and virtual goods in Facebook Games, but someday, you might see this image on Amazon or any other e-commerce site. F is Financial exchange services, namely, providing a virtual currency for use by members of an online community via computer and communication networks; facilitating the exchange and sale of services and products of third parties via computer and communication networks; incentive award programs; telecommunications services, namely electronic transmission of data, messages and information; entertainment services, namely facilitating interactive and multiplayer and single player game services for game.